Sorry I haven't updated anything for awhile! Being busy with final exams and thesis pretty much sums up my life for the last couple of weeks. But hey, I'm back with another skin care review heheh. 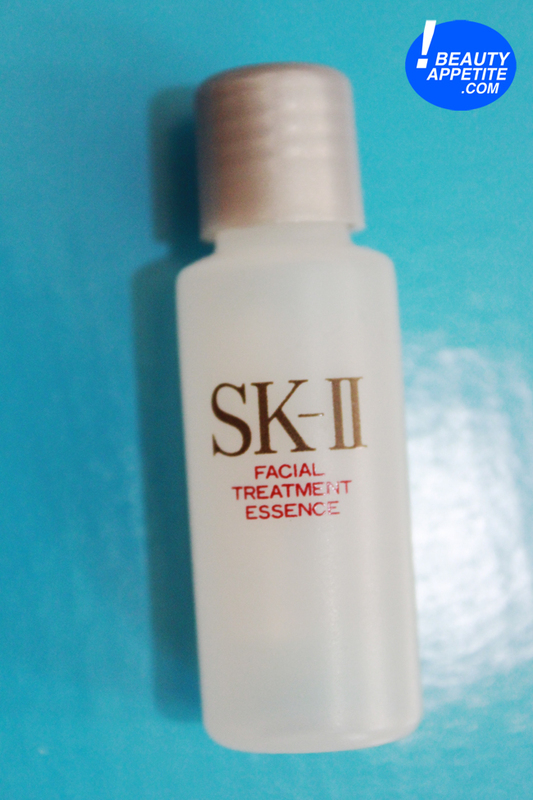 I've been using this SK-II Facial Treatment set for at least three weeks now. 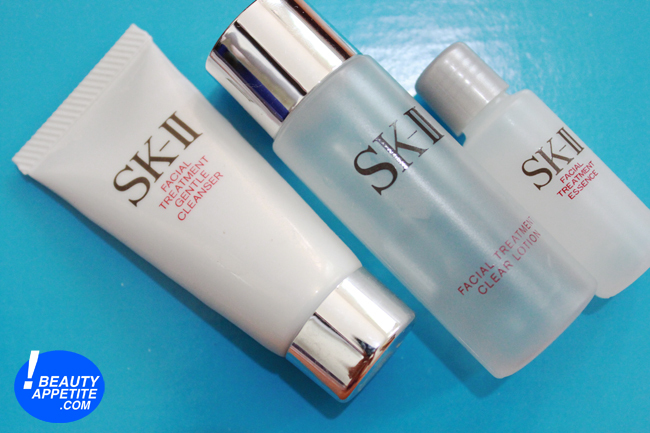 Products I've been using are: SK-II Facial Treatment Gentle Cleanser, SK-II Facial Treatment Cleat Lotion, and SK-II Facial Treatment Essence. I was really excited to try these out, especially the Facial Treatment Essence (FTE) because I've heard so many good things about this product. 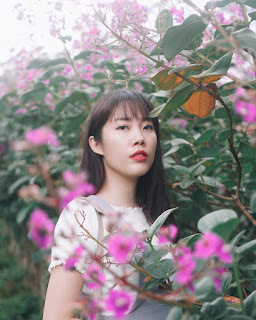 If you've been wanting to try out these products to brighten up your complexion, get rid dark spots and hyper pigmentation, you can get it at Miss Lie Collection since now they're selling SK-II, Lancome, Estee Lauder, Glam Glow and so much more!  The last time I checked, they have Buy One Get One promotion for their SK-II products, make sure to check it out if you're interested. Texture: Light-as-air cream that gives a fine-textured lather. This cleanser is as gentle as its name, it cleanses my face thoroughly without making my skin feels dry at all. It makes my face feels clean and soft afterwards. How to use this product: take a small amount of the product onto your palm. Blend with water to create a foamy lather. Gently cleanse your face and neck, then rinse it off with water. 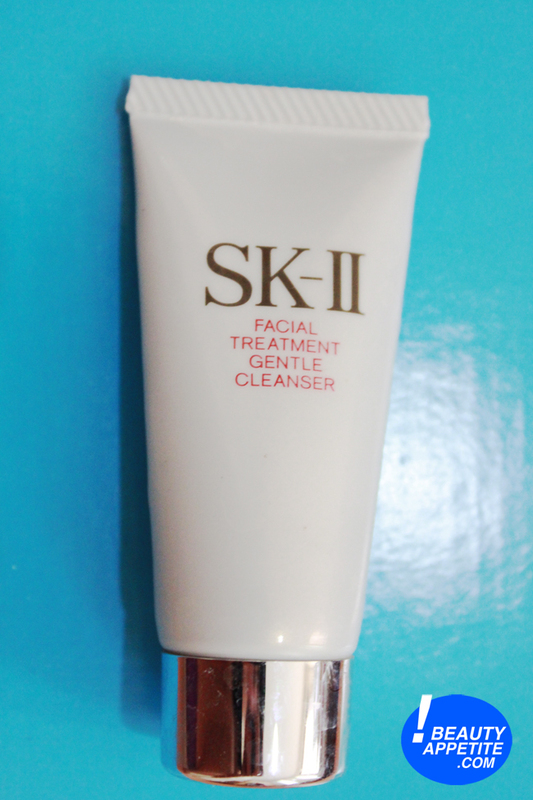 Use this cleanser every morning and night before toner. Texture: Light and watery, this toning lotion penetrates into the skin surface. This toner is great to remove the facial cleanser residue and dirt without irritating the skin. I find this product is so so for me, I mean this toner is great, but it is a little bit pricey for a toner, however this product is great to prep out your skin for your skin care routine. How to use this product: Soak a cotton pad and start by wiping your T-zone, concentrating on oily areas. Continue wiping from the chin towards the jawline and cheeks. Finish by wiping the neck from the bottom to the top. Avoid eye area. Use morning and night after cleansing. SK-II’s signature product, the much-loved and most awarded bestseller, Facial Treatment Essence has over 90% Pitera™, the miracle ingredient discovered over 30 years ago that remains essentially unchanged till today. Its irreplaceable formula gently exfoliates the face and helps moderate the skin surface renewal cycle. In just 14 days, your skin’s 5 dimensions are visibly transformed: age spots are less visible, appearance of wrinkles is reduced, skin texture is more refined, firmness is improved, and radiance is beautifully elevated. Skin becomes breathtakingly crystal clear. Texture: This lightweight miracle water is quickly absorbed into the skin. 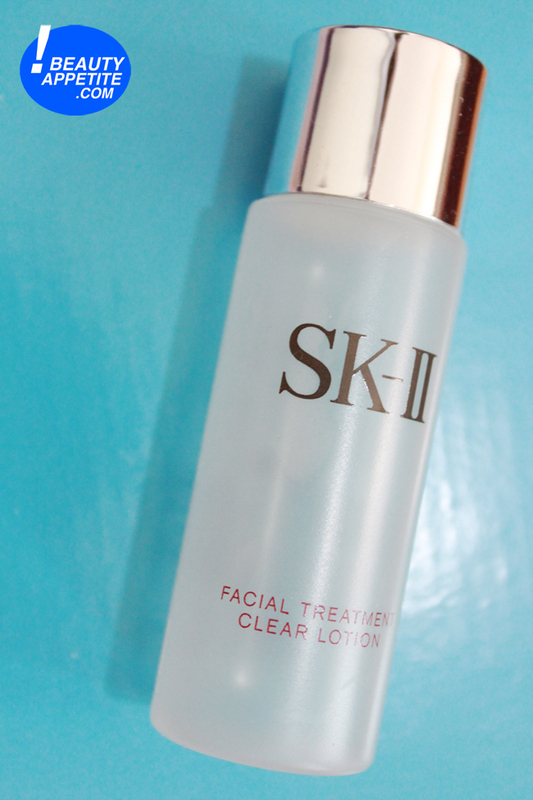 Alright, let's just be honest here, this FTE is the one I am very excited about, and I've used three products from SK-II Facial Treatment range, and I must say that this is my favorite one. Even though I kinda hate the sake scent, but it's not something unbearable though. It absorbs really well into the skin, and I notice that my skin is getting clearer and brighter after using it for couple of days. How to use this product: Soak a cotton pad and gently smooth onto your face for 1 minute. Turn the cotton pad around and gently pat onto your face and neck for another minute. Apply every morning and night after cleansing and toning. So before I used this set, I was having a hormonal breakout, and it left me with some red spots on my face as you can see on the picture below, I've been using this set for about 3 weeks and now the red spots are almost gone (hallelujah). No editing. No photoshop. No kidding. For free shipping all over Indonesia, enter "beautyappetite" when checkout. Thank for this lovely review! It s the first time I discover these products!